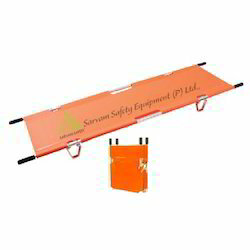 With rich industry experience and knowledge, we are trading, distributing and supplying a qualitative range of Stretchers. The offered stretchers are designed using premium quality components and cutting edge technology at vendors’ end in adherence with industry norms. In order to maintain the quality, these stretchers are tested on different parameters. 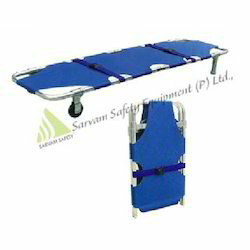 Used in hospitals for shifting patients from one place to another place, clients can avail these stretchers from us in varied designs and specifications, as per their demands. We are a noteworthy trader, distributor and supplier of a comprehensive range of Aluminium Stretchers. Our offered stretchers are designed by our vendors’ professionals using quality tested component and modern technology in line with industry quality norms. Used to carry patients from one place to another, our provided stretchers undergo different tests under the guidance of quality examiners so as to ensure their quality. 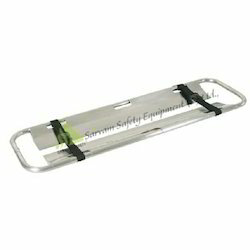 Looking for Hospital Stretchers ?